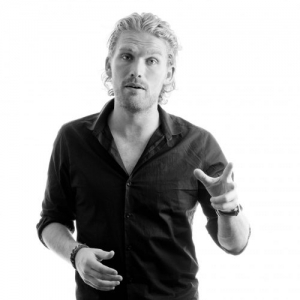 Rasmus Ankersen is a best-selling author, an entrepreneur, a speaker on performance development and a trusted advisor to businesses and athletes around the world. Rasmus is also the Chairman of FC Midtjylland, the current champions of the Danish League, and holds the position of Co-Director of Football at Brentford FC. Both are known as some of Europe’s most innovative football clubs, especially recognized for their use of big data to drive decision- making. With his most recent book The Gold Mine Effect Rasmus has taken another step into the secrets of high performance, becoming the only expert on the subject who has literally lived and trained with the best athletes on the planet. The Gold Mine Effect is now published in more than 40 countries. Rasmus lives in London and is teaching organizations how to build their own gold mines of talent. Among his clients are organizations such as LEGO, Facebook, Boston Consulting Group, IKEA, Google, Rotman Business School, Nasdaq, Ernst&Young and many more. As an author and expert on talent and performance development, Rasmus has been featured on Sky News Business, CBC, The Morning Show and Fox Sports. He is also a regular columnist in several business magazines, among them the Chinese CEIBS.